It's only been a few days since we met the new hero Pakko from the Exile in the North update and Motiga is already teasing the next major update for Gigantic. Called Eternal Dawn, this update will release on February 23 on Xbox One and Windows 10. The highlight is the new hero Zandora, a lance-wielding melee/support hybrid who uses auras to empower herself. 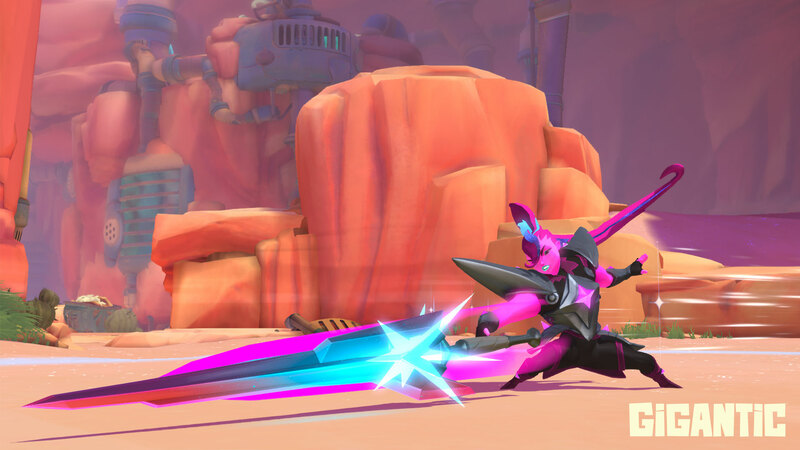 With Zandora, the cast of heroes in Gigantic will raise to 18 and the plan is to have a new hero released every six weeks. If you have a Gigantic Founder's Pack, Zandora will be automatically unlocked for free. The Aurion Skin is also coming with this update. The update also brings a competitive leaderboard, 18 “Eternal Light” Weapon Skins and later on more stuff will come: a new creature called Storm Drake (March 2), the Beckett Aurion Skin (March 9), the Vadasi Aurion Skin (March 16) and the Voden Aurion Skin (March 23).